Jude studied English at Aberdeen University and now lives near Belfast with her very tolerant husband and a gang of spoilt rescue-animals. She has tutored students and taught EFL in local schools, and now writes poetry, flash fiction and short stories in her spare time. 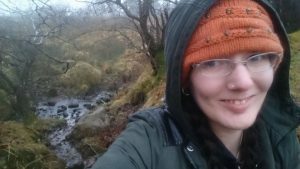 Some of her poetry has been featured in The Blue Nib magazine and in Lagan Online’s Poetry Day Ireland Mixtape Volume 2 and her Flash Fiction has been included in several Flash Fiction Armagh events. All photographs are by Jude Alexzander unless otherwise noted.